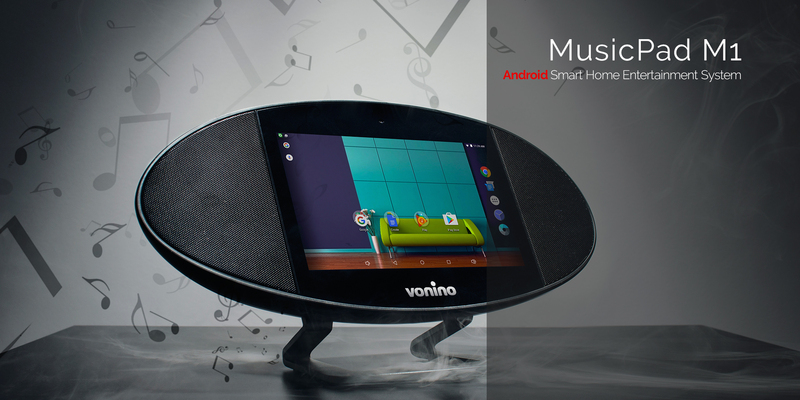 Vonino MusicPad M1 takes entertainment beyond your smartphone or tablet. At just one tap away, Vonino gives you an android smart home entertainment system that also has a minimalist and slick design which will fit perfectly with any home or office. 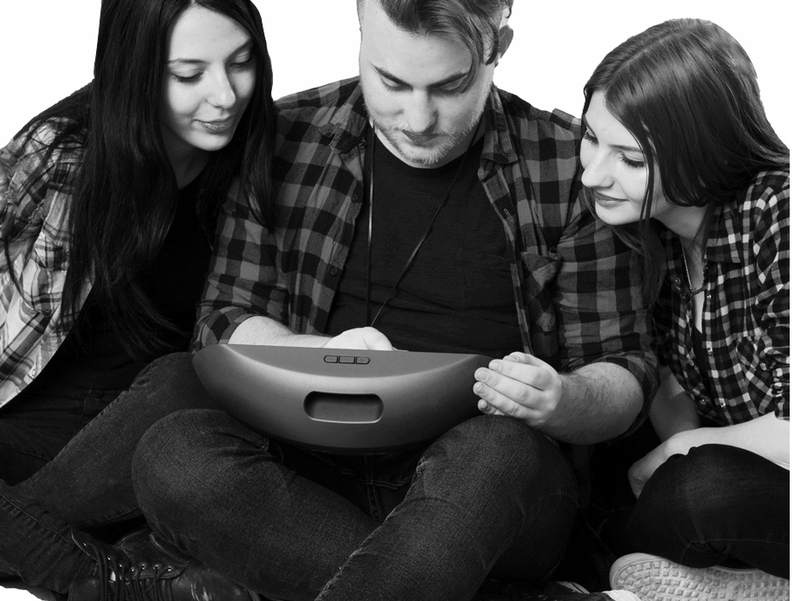 Vonino MusicPAD M1 extends entertainment beyond smartphones and tablets. Vonino presents an Android Smart Home Entertainment System with a sleek minimalist design that fits into any environment, providing entertainment at home, office or on vacation. 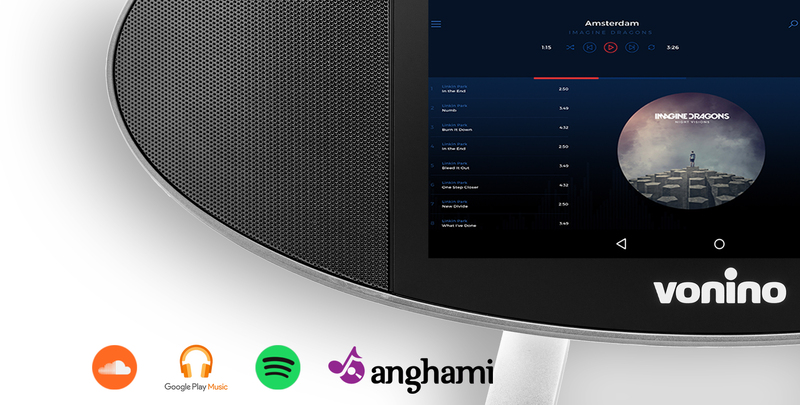 MusicPAD M1 offers free access to over 50 million songs through SoundCloud, Anghami and more. Children get the preinstalled YouTube Kids app. Apps without limits - Full range of Google ™, including Google PlayTM. Based on the idea of ​​smart devices MusicPAD M1 provides access to all Google applications, the most important being Google Play, through which you get access to over 1 million app, games, books and many more. Find the most popular apps, free or paid, explore collections of apps chosen by advised users, explore the categories or simply search for the apps, games or books you desire. Being a portable device MusicPAD M1 has a built-in Li-Ion battery that provides 7 hours of audio streaming, 6 hours of Bluetooth streaming or 3 hours of video streaming. Free access to over 50 million songs. SoundCloud is one of the largest music providers that offers you the opportunity to enjoy your favorite music and artists whenever and wherever you are. Listen to your favorite music online anytime and discover new artists, songs or albums, while saving storage space. Entertainment without limits - Bluetooth, HDMI, Audio-IN/OUT. Connect your MusicPAD M1 via HDMI or Screen Cast to the living room TV and you will have your own home cinema. All video streaming services which were available so far only on smartphones or tablets you'll now have available on the biggest screen in your house. With the Bluetooth streaming function you can listen to music stored on your smartphone through two stereo speakers of 5 watts each. The same feature allows you to transmit your mobile videos on your MusicPAD M1. The perfect help in the kitchen - basically almost anything you like! Choose your favorite cooking channel or its app, choose your recipe, and prepare your ingredients. Bluetooth streaming (screen off): 6 hours, Music streaming (default volume): 7 hours, Video streaming (screen off): 2.5 hours, INFO: Life and maximum battery capacity naturally reduces with time and wear. I received this as a gift and I like it. With its touch screen I can browse any song I want via YouTube. Too bad the battery doesn't last so long. Love this system. I can place it anywhere I want in my home and listen music.Great sound!